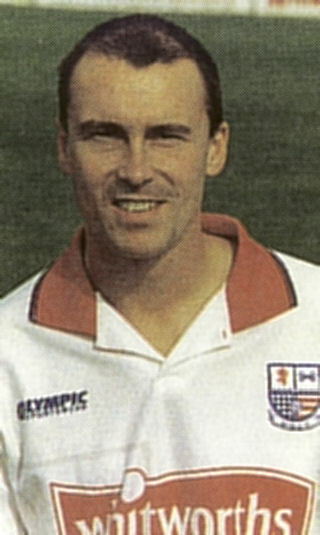 Warren had started his career with Hemel Hampstead and St.Albans City in the late 1980’s, before some nine seasons with Hayes. He was a successful utility player at non-league level, playing in defence or a midfield role if required and helped Hayes to the Ryman League Premier title during his time at the club. He moved to Stevenage Borough and played a part in their Championship campaign in the 1995/1996 season. He joined Diamonds on loan from Stevenage Borough in September 1997, a move that was made permanent the following month, when an £8,000 transfer fee was agreed. The number of appearances were limited due to injury midway through the season, and he was released in May 1998. After leaving the Diamonds, he moved to Aylesbury United, before returning to St.Albans City. In January 2000, he moved to Hendon where he had a role as player / coach for several years. He then had a coaching role with AFC Wimbledon until the end of the 2006-07 season. No record of his involvement with the game has been found between 2010 and 2018.